When customers identify with you emotionally, you have a greater opportunity to influence them. As with family and friends, when they know you more intimately, they care more deeply and trust you more fully. Webster’s defines backstory as “a story that tells what led up to the main story or plot.” Novelists create backstories (or background stories) that are events in the characters’ lives leading up to the primary plot. Your organization and employees had a backstory before they joined forces. Your customers and suppliers had a backstory before they became your customers and suppliers. You and your spouse had a backstory before you married. Each backstory is powerful. Let customers know your specific backstory to make them want to root for your success. Your backstory can unlock hearts quickly and move customers to action. “Go green.” “Cure cancer in our lifetime.” “Feed the refugees.” All these causes tug at people’s heart strings. If you tie your message to a cause that people believe in, the emotional connection grows stronger. Every year, my local CPA firm, McIlvain & Associates, creates an event around a race and walk-a-thon in the DFW Metroplex to raise money for cancer research. They invite all their suppliers, clients, employees and their families to contribute and participate personally. Their growth has been phenomenal in the past 10 years, and they attribute much of the success to “cause marketing” and emotional connections with clients. 3. Personalize With a Photo. Adding a photo to your website or product displays is not about ego; it’s about research. Several studies involving lab technicians reviewing x-rays indicate that simply linking a person’s photo to their x-ray or other dry data increases emotional connection and increases the likelihood of a more accurate reading. Marketers also know that baby pictures light up people’s brains. Attractive women draw attention in ads. Cute puppies evoke an emotional response. Whatever you can do to create a pleasant personal association to your product or services increases connection. Calculate how much they can afford to pay for a mortgage. Find out how much they need to save each year to be ready to retire well. Enter their household income and see if they qualify for student assistance. Take a writing assessment to see if they could benefit from a refresher course to snag that next big promotion. How can people do a “test drive” of your intangible service? How can they “try before they buy” when they walk into your place of business or before they sign on the dotted line? Video or audio record people telling how they benefitted from your product or service. Encourage people to become part of a “tribe” or “community” (call it “elite,” “platinum,” “VIP,” “mentees,” or whatever fits). Feeling like they belong to a special group will increase people’s emotional connection. 6. Question Them About Goals. Ask listeners directly, “What are you hoping to achieve? What’s your goal? How would X make your job easier, safer, faster?” Their answers engage them emotionally. When people take the time to answer your questions, they want to know how you will interpret their answers and react to their goal. This is NOT the time to walk away. They will hang out around to hear your reactions and see what you have to offer to get them closer to that goal. Engagement controls so much of your customers’ reactions to what they see and hear that it’s difficult to over-emphasize its impact on their buying decisions and their loyalty. Engage early and engage now. Dianna Booher is the bestselling author of 46 books, published in 26 languages, with nearly 4 million copies sold. 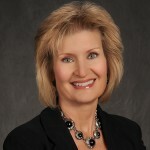 She works with organizational leaders to increase their effectiveness through clear communication and executive presence. Her latest books include”What More Can I Say? : Why Communication Fails and What to Do About It“; “Creating Personal Presence: Look, Talk, Think, and Act Like a Leader“; and “Communicate with Confidence“.